Saturday, 22 September! Second Hand Saturday is a FREE event brought to you by your local council and the NSW EPA. This year our Second Hand Saturday blog is being taken over by one of our amazing Second Hand Saturday fans, Sascha Piotrkowski. We first met Sascha when Tweed Shire joined Second Hand Saturday for the first time 5 years ago. We watched with astonishment as the number of garage sales in Tweed Shire alone broke all our previous records! We just love the way Sascha has embraced Second Hand Saturday and chooses to reuse as part of her lifestyle. Sascha will be sharing stories, tips and hints over the coming weeks so come and visit us over the coming weeks. In previous years, I’ve taken part in Second Hand Saturday as a shopper. As a mum of a busy toddler, by the time he got to an age that was ‘beyond the stuffed bear’ I wanted to find some educational toys that didnt cost the earth. Armed with the free Second Hand Saturday app which can be downloaded from the Apple App Store or Google Play, I planned my mission based around those garage sales with childrens’ toys. The app let me view a map of all garage sales in the area I wanted to visit, and a list of what each sale had to offer. Download the Second Hand Saturday app now and start planning your treasure hunting mission from September 18! I found some great treasures and let’s just say, our toddler was set for quite a while! And although my mission was to find kids educational toys, my husband found a kayak that he’d been after for a long time too. 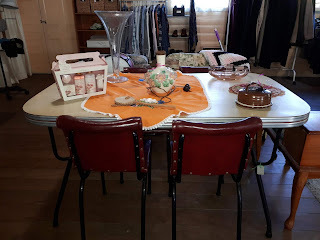 That’s the beauty of a garage sale, you often find a few things that you’ve been looking for all in the one location and at a fraction of the retail cost. Second Hand Saturday provides so many garage sales to choose from too! This year there are some great group and community fundraising sales. If you are keen to hit the streets this coming 22 September, be sure to put these on your shortlist! 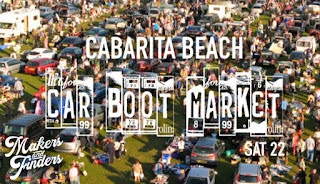 There are two car boot sales registered this year in the Tweed area. If you fancy a bit of a wander to check out lots of sales in the one location, plus fill your belly with coffee and good food while you browse, these are two locations to put on your hit list this Second Hand Saturday. Address: The Pavillions Marketplace 2-14 Henry Lawson Drive, Terranora NSW 2486. Terry and Cath Harmer new owners of The Pavilions Marketplace have places for up to 200 cars and an undercover wet weather option too! Plus with Coconut Coffee Shop and the Inky Squid Fish and Chippery on site, there will be lots of food to keep you going. Here’s Terry, owner of The Pavilions Marketplace to chat more about their big Second Hand Saturday. Peita Gardiman, owner and coordinator of the Makers & Finders Market in Murwillumbah has organised a huge car boot sale at Cabarita Beach with over 30 stalls registered, music to entertain and a coffee van to keep you hydrated. Plus, if you decide on the day that you’d like to hold a stall, you can simply turn up between 7am - 8am, pay the $20 registration fee and set up! Check out their event here. 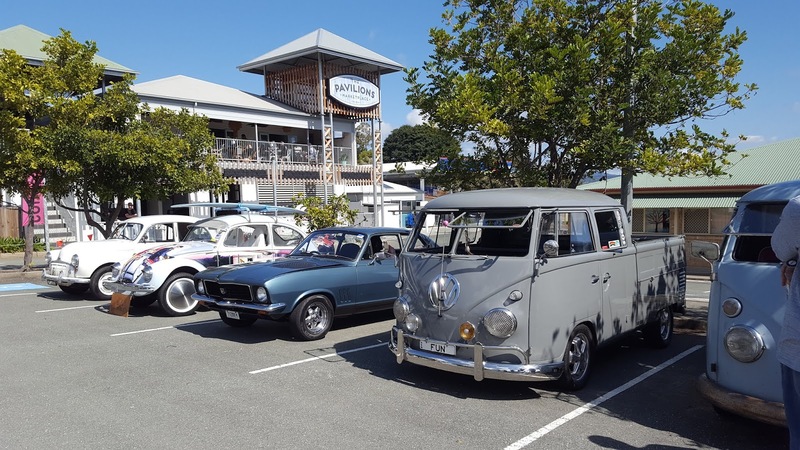 Staff from the Kyogle Family Support Service will be setting up stalls within the carpark so come along to support their fundraiser as all proceeds from the sale will go to the Soup Kitchen which is run every Monday. Some of the treasures you’ll be able to sort through include bric-a-brac, plants, cooking items and homewares. The Brushgrove Hotel Social Club are on a mission to raise money for the Cancer Council. You can help support this great cause by checking out their sale this Second Hand Saturday or grabbing a hotdog from their sausage sizzle! All profits raised from the garage sale and the sausage sizzle will be going to the Cancer Council. I spoke with Terri who is organising the event last week and she told me things will be going cheap! They would like to see everything gone. The lovely ladies from The Country Womens Association in Murwillumbah are joining forces this Second Hand Saturday with tables of Tupperware (new and used), books, cooking items, homewares, bric-a-brac, handmade craft, knitted items and cakes. There will be 6-7 tables of items for you to browse through, plus a percentage of their sales will be donated to the CWA. The Alstonville Dance Studio is a not-for-profit group run by volunteers and they will be running two Second Hand Saturday events on September 22 and September 29! 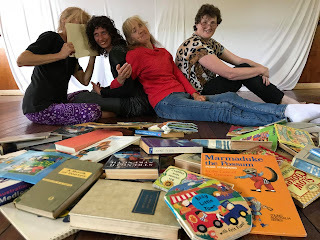 This year marks the 5th year they have run Second Hand Saturday as their annual fundraiser to raise funds for the Little Dragons Integrated Group events. All money raised on the day will go to events to be held for the rest of the year, including a tree planting for Ballina’s Koalas at Meerchaum Vale to help the affected koala population and Ballina’s wildlife, dance and creative arts workshops in November and concert and community performances scheduled for December. Supporters of the studio will be donating goods so check them out over the two weekends. Plus if you love books, they’ll have children’s books for 20c and adult books for 50c! Stall holders have been invited to take part in this fundraising event for Tregeagle Public School’s P&C. You’ll be able to check out all types of stalls here, from pre-loved items, plants, fruit & veges, small business wares, arts and craft and they’ll be open from 7am - 1pm. To keep you fuelled as you make your way through, be sure to stop in at the coffee cart, sausage sizzle or cake stall. Keep posted about their event here. There’s a bit of everything at the Byron Anglican Church garage sale! They’ll have church pews, a retro table and chairs, clothing, bric-a-brac and plants. Plus if you are feeling a little hungry whilst checking out the sales, they’ll have a sausage sizzle and homemade cooking there for you to indugle in too! Money raised will be donated to Adopt a town with the Mullumbimby Chamber of Commerce. Whether it’s the thrill of the hunt and never knowing what treasures you might uncover, the satisfaction that your pre-loved items are finding new homes, or that you get to make money from items that have otherwise been collecting dust, let’s face it - people LOVE a good garage sale! One thing I love about Second Hand Saturday is the buzz - the positive community vibe created as everyone bands together for a common cause. 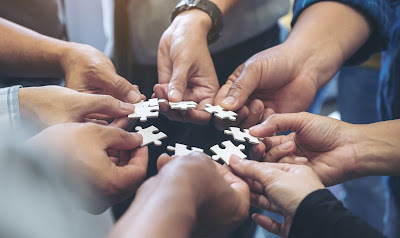 Plus so many sales within walking or a short driving distance of each other makes for the perfect excuse to get a group of friends together and make a day of it! One of the highlights I’ve experienced during Second Hand Saturday was talking with the lovely people I met along the way. You never know who you’ll meet! One guy happened to be a local mechanic who we’ve continued to use over the years, while I also got to know my neighbours a lot better. Over the next couple of weeks I’ll be chatting to people within our community to find out what they love about Second Hand Saturday and showcasing some of the great fundraisers and bargains coming up, so stay tuned! 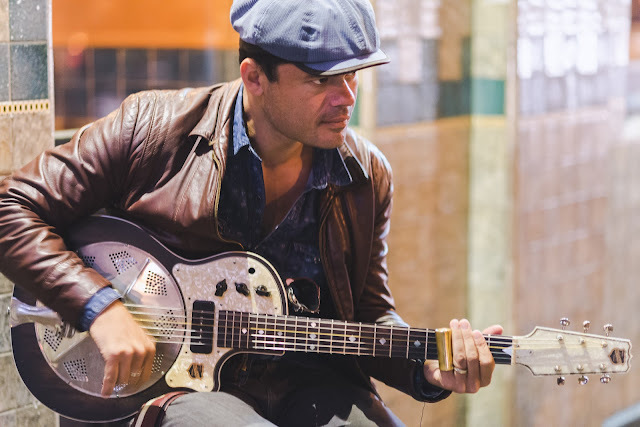 This week I had the opportunity to ask Australian Blues and Roots singer and Byron local Ash Grunwald a few questions about the importance of garage sales. So why Ash you might ask? Well, its not only his booty shakin’ songs often about escaping the big city or spending time in nature that attracted me to him, it’s his devotion to helping fight the war on waste. What many people might not know is that together with his wife Danni, the couple share a strong commitment to our environment, particularly in the fight against single-use plastics. Have you heard of Second Hand Saturday? No but I think it’s a sensational idea!! If we were around more, I’d probably get amoungst it!! Have you ever held a garage sale? Danni my wife did when we left Torquay to move up to the Northern Rivers. We made a couple of grand I think? I was on tour as usual! We love that garage sales are social, what do you believe is the benefit of holding a garage sale? I think they are an amazing idea!!! Ahead of their time. The inspiring thing about garage sales is that they allow people to benefit from the money they have invested in something, that would otherwise be wasted. This is huge! Especially as most of us are in the shackles of debt. The humble garage sale has been doing this for years!! Also as we all know, we tend to over consume. Delpeting the planet of much needed resources and creating toxic waste at an alarming rate. Reusing stuff is the ethical option. It’s also way cheaper for the buyer and free money for the seller, in that the things they choose to sell weren’t being used. There is quite an emphasis on sending less to landfill and promoting re-use, why do you think this is important in our community? I think people are waking up. We can’t keep polluting at the rate we are and expect no consequences. The good news is that although in some areas it gets worse every day, the problem is being counteracted by many brilliant people working on new initiatives such as Second Hand Saturday to encourage positive change. How do you think the NSW north coast does in terms of reducing what we send to landfill? I spend more time in Bali these days. And we certainly do better in NSW than in Bali but are we just better at hiding the problems? Do you think you might get time to do some shopping this Second Hand Saturday? If so, what’s something you might be on the hunt for? Yellow surfboards and funky old oddball guitars! After a solid week of decluttering I was feeling pretty pleased with my efforts. Our family soon realised that this wasn’t just about the things we’d accumulated so far, but those things we could potentially continue to accumulate. There was a much bigger picture developing here; we had inadvertently just declared war on waste in our very own home! Armed with our What’s in My House Quiz questions each of us attacked a room, sorting through the layers of ‘stuff’ we’d kept over the years. The whole process made us sit down and question how we could live a more waste-wise lifestyle. To be honest, I had been an environmental education officer for the last 15 years and I could still see a lot of room for improvement. During my working career, one of the common questions people would ask me was, ‘how can I make a difference? The problems are all so much bigger and it doesn’t feel like I’m making any significant changes’. What’s important to remember is that we are all a part of this community like pieces of a puzzle. We need each piece to play a part in creating the larger picture. You’d be surprised how each of our small changes collectively makes the big difference we are all striving to see. As they say, every little bit helps. While recycling is great, re-using is even better! And reducing the waste you bring into your home and life to begin with is the ultimate goal. For those who have been following the War on Waste episodes on ABC, there are some great challenges ahead but the underlying message is PEOPLE POWER! Taking part in Second Hand Saturday, the North Coast’s largest community garage sale event, is a fun way to join forces with your neighbours and friends and collectively make that bigger difference. Last year, there were over 1200 garage sales held across our region and this September 22, marks the 10th birthday of Second Hand Saturday. Imagine how much waste could have otherwise ended up in landfill? Holding a garage sale or shopping for pre-loved items is not only a great way to reduce what is sent to landfill, it’s also a fantastic way to get out and meet your neighbours and be part of the community. Use your piece of the puzzle and let’s create that bigger picture together! I started thinking today, what would drive me to hold a garage sale? Looking around my house sure there were some larger items like an old washing machine, day bed and coffee table I’d been meaning to get rid of, but I’d just list them online wouldn’t I? Then I saw it … it was right in front of me all along - Clutter! My spare room was full of it, my cupboards and drawers, my garage, even downstairs! Oh dear. But Im not a hoarder … am I? A myriad of small items I’d been shifting around, finding new places for and tactfully tucking away for years because I couldn’t just throw them away, were glaring at me. Do I really need all this stuff? Suddenly it was as clear as day. Someone else might find these things useful! They’re still in good condition and I certainly didn’t want to send them to landfill. I also couldn’t imagine taking photos of each thing to list it online, only to have people message and email to ask me questions about each and every item. There’s just too much! After all, I was only looking at the tip of the iceberg. I needed people power! Enthusiastic treasure hunters. If I could get as many of these people to look at my things, hold them in their hands and think “this is just what I need”, I’d be set! And there was my reason. I needed a garage sale! Now what was that garage sale event I saw advertised? Second Hand Saturday - the North Coast’s BIGGEST day of garage sales! In an enthusiastic flurry I attacked the spare room, sorting and boxing items for sale. I had two months before Second Hand Saturday to think about the items I’d want to sell. Very achievable. Its amazing just how much clutter we collect over the years. So where to start you ask? Well, how about giving this activity below a go. Involve the kids or grandkids and take a closer look at what you’ve accumulated over the years. Do I or will I still use this? Does this item hold high sentimental value and I’d keep it forever? If not or it’s not a definite yes, grab some boxes and start sorting these items as possible garage sale items. Be a little ruthless, you can always re-consider over the next two months but at least you’ll have a good idea about what you have, need and what is simply taking up space. Register before 5pm, 12 September! Second Hand Saturday 2017. Awesome Inc. theme. Powered by Blogger.